Texas sponsors three 529 college saving plans -- a direct-sold option, an advisor-sold one and a prepaid tuition program. The direct-sold Texas College Savings Plan lets you invest in several low-fee investment portfolios, and you can choose from actively and passively managed funds -- a rarity among direct plans in other states. The LoneStar 529 Plan, Texas’ advisor-sold 529 option, a wide variety of investment options and moderately low fees. The prepaid tuition program, the Texas Tuition Promise Fund, allows you to purchase college credit hours at today’s prices so your child can redeem them in the future even as tuition prices increase. Even if you’re not using the advisor-sold plan, you can still use the SmartAsset Advisor matching tool to get paired with an expert who can help you develop a personalized college savings strategy that best suits your financial goals. The Texas College Savings Plan allows you to begin investing in your child’s future education as little as a $15 deposit. You can then contribute up to $370,000—a moderately high contribution maximum compared to plans across the country. The Lone Star state’s plan offers several investment options, and you can even choose which investment strategy you want to apply to it. Those new to investing may be interested in age-based portfolios, which automatically change their asset allocation to aim for strong returns when your child is young before becoming less risky he or she gets closer to college. How Do I Enroll in the Texas College Savings Plan? You can also fill out a paper application and mail it in. Either way, you’d need to select your investment option at the time of enrollment. How Much Does the Texas 529 Plan Cost? Each investment portfolio in the Texas 529 College Savings Plan charges a total annual asset-based fee, which currently stretches from 0.5992% to 0.9426%. When compared to portfolio options in plans other states sponsor, the Lone Star State’s fees range from low to moderately high. The total annual-asset based fee depends on the portfolio option you choose and it’s not charged directly. Instead, it’s indirectly factored out your account. For example, let’s say you invest $10,000 in one of the higher-fee options with a total annual asset-based fee of 0.9426%. Your fees would amount to $96 in one year. This estimation assumes a 5% annual rate of return and a constant fee level for that length of time. By investing in any portfolio within the Texas College Savings Plan, your contributions will grow tax-deferred. This means that the earnings your money generates in the market won’t be subject to federal income tax. As a result, you can make the most out of compound interest. The money you take out of the plan for qualified higher education expenses would be tax-free as well. However, you’ll face some tax hits if you take the money out for any other reason. This would be deemed a nonqualified withdrawal, and the earnings portion of the withdrawal will be subject to federal income tax plus a 10% early withdrawal penalty. You should speak to a qualified tax advisor in your area about how any nonqualified withdrawal may affect you based on your unique circumstances. What Are My Investment Options? The Texas College Savings Plan allows you to invest in a range of portfolios with underlying mutual funds that leading investment firms like T. Rowe Price and Vanguard manage. If you’re a less experienced investor, the age-based portfolios might best serve you. These automatically change their asset allocation or mix of funds they invest in to become less risky as your child approaches college. But when the child is young, the portfolio would invest more heavily in stock funds with aim for strong growth before switching focus to bond funds in order to preserve your earnings and reach for a steady return. Static portfolios don’t change their asset allocations, but they’re designed to give you more control over your investment. Each invests in various funds based on a specific risk level. You can choose one based on how you want to calculate your asset allocation to reflect your level of risk. Each individual portfolio option invests in a single underlying fund. You can choose from one or more based on your specific risk level and savings goals. Compared to other states’ plans, this Texas plan stands out because you also get to choose which kind of investment strategy is applied to these portfolios. You can choose a portfolio built with index funds, which aim to track a benchmark index of specific securities like U.S. stocks. These funds are known for generally low fees because of their “passive” nature. Or you can choose a portfolio that invests in index funds and actively managed funds, which aim to outperform indexes by utilizing the investment managers’ own research and resources. 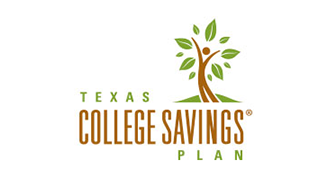 How Do I Withdraw Money from the Texas College Savings Plan? You can request a 529 plan withdrawal online by logging on to your account or by filling out a paper form. You can request that payments be sent to you, your beneficiary of an eligible educational institution. The LoneStar 529 Plan offers all the tax benefits of the Texas direct 529 plan, but this option comes with the know-how of a professional financial advisor who can guide you through the entire college-savings terrain. The plan also offers a different investment menu featuring portfolios built with funds managed by leading investment firms. 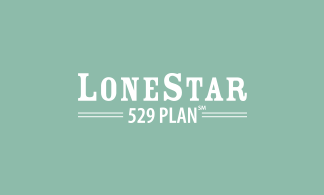 How Do I Enroll in the LoneStar 529 Plan? You can open an account with the LoneStar 529 Plan through a qualified financial advisor, who can walk you through the enrollment process and help you develop a personalized investment roadmap and long-term savings strategy based on your unique financial circumstances and goals. But before choosing a financial advisor, be sure to take some points into consideration. Not all advisors are the same, and they’re not all held to the same standards. So look into the advisor’s qualifications and certifications. A Registered Investment Advisor (RIA), for example, is registered with the federal Securities Exchange Commission (SEC) and is held to strict standards and regulations. RIAs are also fiduciaries, which means they’re legally required to work in your best interests. Furthermore, fee-only planners don’t work on commission as some advisors do. The right choice ultimately depends on your preferences and savings goals, so ask your advisor questions about his or her qualifications and areas of expertise. How Much Does the LoneStar 529 Plan Cost? The price of investing in the LoneStar 529 Plan ultimately depends on your portfolio option as well as its share class. But because a qualified professional would be guiding you through every step of the college savings process, you may face additional fees not usually seen in direct-sold plans in order to compensate advisors and others involved in running the plan. An example is a sales charge, which varies based on your share class and other circumstances. For Class A units, for example, you’ll face an initial sales charges that are deducted from your contributions. Class B units charge a contingent deferred sales charges (CDSC), which usually kick in when you withdraw money from the plan within 18 months of making a contribution. In addition, each portfolio in the plan charges a total annual asset-based fee which currently spans from 0.6793% to 2.4693% depending on portfolio and share class. Advisor-sold 529 plan fees are generally a bit more complicated than those in direct plans, because they heavily depend on individual preferences like portfolio option and share class. Under some circumstances, you can waive the sales charges. Your best option is to speak with your advisor about which portfolio option and share class is best for you based on your individual circumstances. The LoneStar 529 advisor-sold plan offers the same tax benefits as its direct-sold counterpart. This means that you can enjoy tax-deferred growth on your contributions and your withdrawals will be tax-free as well when you use them on qualified higher education expenses. However, you may also face the same consequences for making nonqualified withdrawals. Be sure to speak to your advisor about how a nonqualified withdrawal may affect you. You should also discuss additional tax benefits that appeal to you. For example, 529 college savings plans allow several ways you can give money to students while avoiding gift tax. When you open an account with the LoneStar 529 Plan, you can choose to invest in age-based portfolios or static portfolios. Your advisor can also help you invest in both options in order to develop a long-term, personalized investment blueprint. Leading investment firms, including T. Rowe Price, TIAA-CREF and DFA, manage the underlying funds in the plan’s portfolios. How Do I Withdraw Money from The Texas 529 Advisor Plan? You can request a withdrawal online or by filling out a paper form. Before you make one, however, you should consult your advisor to address any potential tax implications and how best to use your funds. 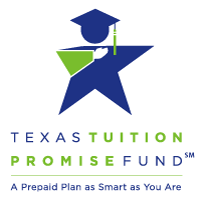 The Texas Tuition Promise Fund opened its doors as the Texas Prepaid Tuition Program closed down. The plan allows you to purchase Tuition Units that equal undergraduate resident tuition and required fees at Texas’ public community colleges and universities. You can redeem your units in the future as laid out in your contract -- whether for a certain number of semesters or the entirety of your degree -- even if tuition prices rise. Texas law requires all state two-year and four-year community colleges and universities to accept the plan units as payment for your plan’s corresponding tuition and required fees. How Do I Enroll in the Texas Tuition Promise Fund? You can apply online within minutes if you have the following information about you and your beneficiary ready. How Does the Texas Tuition Promise Fund Work? When you enroll in the Texas Tuition Promise Fund, you get to choose from different plan types or contracts as well as payment options. You can purchase anywhere from just one unit to whatever’s typically needed to cover four years at the most expensive Texas university. Generally, 100 units is typically what’s required to cover one year, or two semesters. How Much Does the Texas Tuition Promise Fund Cost? Plan prices are based on several variables such as current tuition rates at public community colleges and universities throughout Texas. So it changes every enrollment period. This is one of the reasons why it’s important to open these types of plans when your child is young, especially in the face of projected tuition increases. What Are My Plan Type and Payment Options in the Texas Tuition Promise Fund? When you enroll in the Texas Tuition Promise Fund, you choose from different plan types based on the number of units you want to buy. Below are your options. You can break this plan down to a term of five years, 10 years or the number of years between your beneficiary’s age at enrollment and projected high school graduation date. It’s important to note that you can use your benefits at any eligible institution including out-of-state colleges. In this case, you’d need to apply your plan’s Transfer Value, which would be factored as the lesser of the following. The costs your units would cover at a Texas public college. The price paid for the unit, plus or minus the Plan’s net investment earnings or losses on that amount. As a plan allowed under Section 529 of the Internal Revenue Code, the Texas Tuition Promise Fund offers the same tax benefits as other 529 plans. So you can use your benefits tax free on qualified educational expenses outlined in your contract. How Do I Use My Benefits from the Texas Tuition Promise Fund? When your child enrolls in college and is ready to use his or her benefits, you can fill out a Benefits Authorization Form. The plan will then distribute eligible funds to the appropriate educational intuition on your behalf. However, you’re not limited to a single plan. A financial advisor can help you develop a personalized college savings plan by utilizing the benefits of one or more of Texas 529 plans. If you’re not sure how to seek a professional, you can use our SmartAsset Advisor matching tool. By asking you a few simple questions, the tool links you to local professionals based on your unique circumstances. You can then read their profiles and review their qualifications before making a decision. You can even set up interviews. You do not have to live in Texas to invest in its 529 plan. Take a look at these other states' 529 plans.